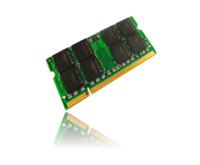 More memory (RAM) increases overall performance and enables your computer to run more applications at the same time. Most MacBook models support up to 2 gigabytes of RAM and some support 3 gigabytes of RAM. Do you need more storage for your files? You can order a 7200-rpm Serial ATA hard drive for increased speed and increased storage capacity. We will install it for free. 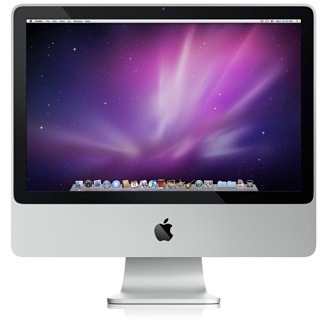 The iMac "Core 2 Duo" 2.4 20-Inch Aluminum (Early 2008/Penryn) features a 2.4 GHz Intel "Core 2 Duo" processor (E8135), with two independent processor "cores" on a single silicon chip, a 6 MB shared level 2 cache, a 1066 MHz system bus, 1 GB of RAM (800 MHz DDR2 SDRAM, PC2-6400), a 250 GB (7200 RPM) Serial ATA hard drive, a vertically-mounted slot-loading DVD±R DL "SuperDrive", ATI Radeon HD 2400 XT graphics acceleration with 128 MB of GDDR3 memory, a built-in iSight video camera, and built-in stereo speakers underneath the 20" glossy TFT Active Matrix LCD (1680x1050 native) display. Extended Warranty options are offered by PartSquad.com and only valid from PartSquad.com, they are not valid through other Apple Stores.